I would like to receive occasional information and updates from SPSA Summer Auction 2018 and jumblebee. This page is our first adventure into online auctions. We are a state primary school based in the Bedford Park area of Chiswick, London with a diverse and wonderful school community. The SPSA (Southfield Parent Staff Association) work hard to raise vital funds for items and projects that the school would otherwise struggle to provide. Recent funding has gone to laptop replacements, library stock and to replenish playground equipment. We fund many trips and exciting workshops that enhance the children's experience of school. 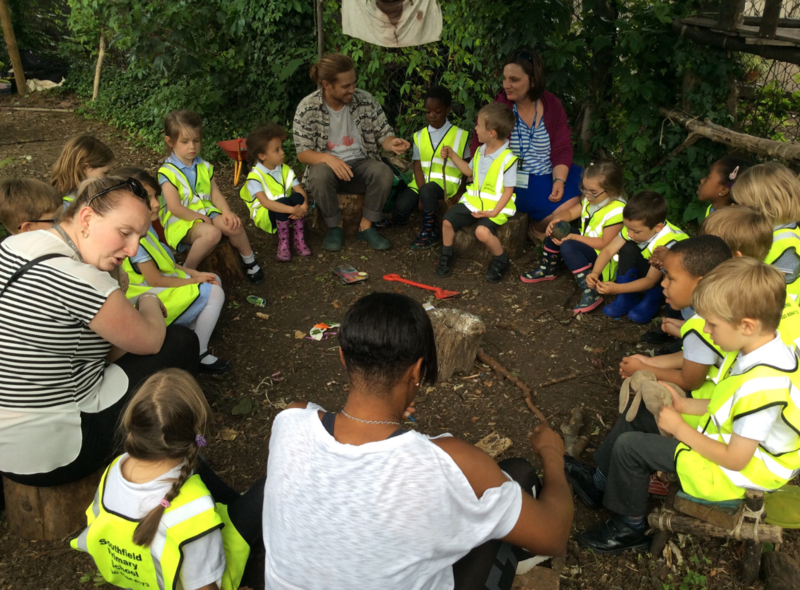 Here are some reception children visiting The Forest School. Take a look at these lots and bid generously knowing that you may get a bargain AND help the children at the same time. Spread the word. Bidders beyond the school community are very welcome. Thanks!